A look into the weird thing known as, "Fantasy Funnies." → Part 10: Returning with a BANG! Welcome back to another post about Fantasy Funnies, and the insane thinking behind them. Not much to really rant about right now, so let's get to it! 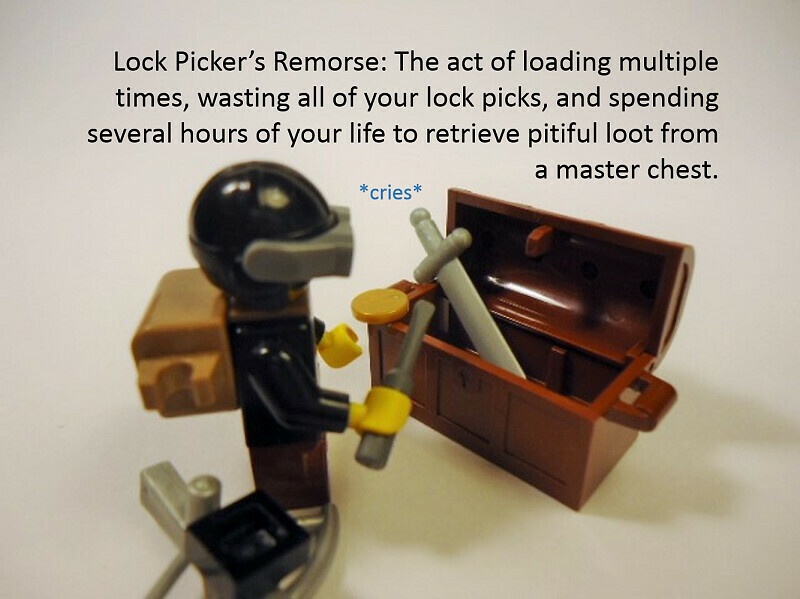 This one funny right here sums up my experience with picking locks.More importantly, picking locks in TES games. I swear that Adept, Expert, and Master boxes are just trolls! These things are beyond annoying to open, and more importantly, when you do open them, they have TERRIBLE LOOT!!! What's worse is that lower level boxes habitually seem to give better loot. It's literally like RNGesus wants to further anger an already salty gamer base! Now, this wouldn't be so bad if you always got something good for the time invested into a lock. But, no you just waste time, when you could be finishing the dungeon. 82. Yet Another Reason People Hate Elves! Oh Elves! Before I go on this little rant, let me just say that I'm actually quite the fan of playing elven characters. That being said... why does every last elf character have to be a complete @$$? Especially in worlds where, High Elves exist. Now, while I could get at them for a ton of reasons, I'm going to start by asking the question. 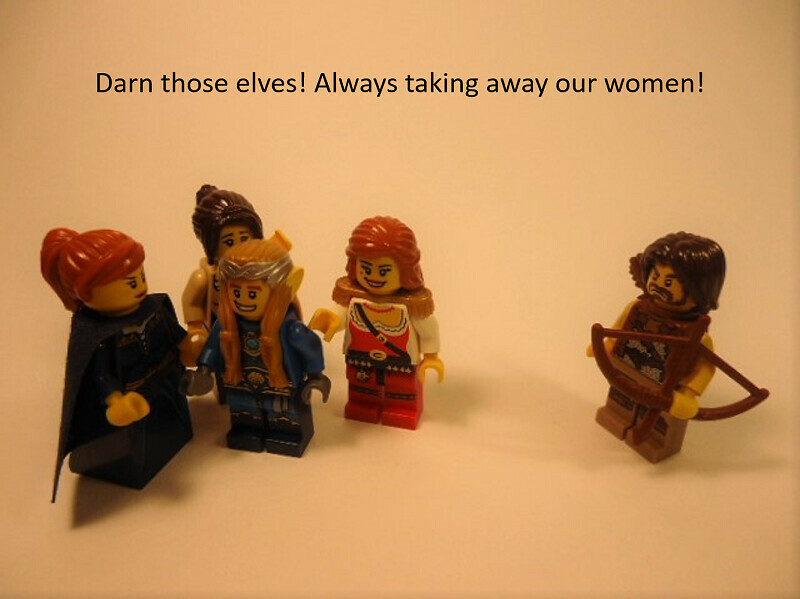 Why the heck are male elves always the chick magnet? Shoot, I'll even ask the question on the opposite end, why the heck is every last human male trying to hook up with the elf chick? It just seems really stupid of this one particular race. I mean, you don't see any ladies swooning to the dwarf fighter of the group. You'll never see a goblin male/female gettin' any love. Now, I wouldn't have any issues with this, if these loved male/female elves were actually great characters, but that rarely seems to be the case. Ugh, maybe it's just me, but hey, ya boy gotta rant! So, I had a good laugh making this one. This was the product of my stupidity, and nothing more! Sometimes I just happen to come up with stupid scenarios! 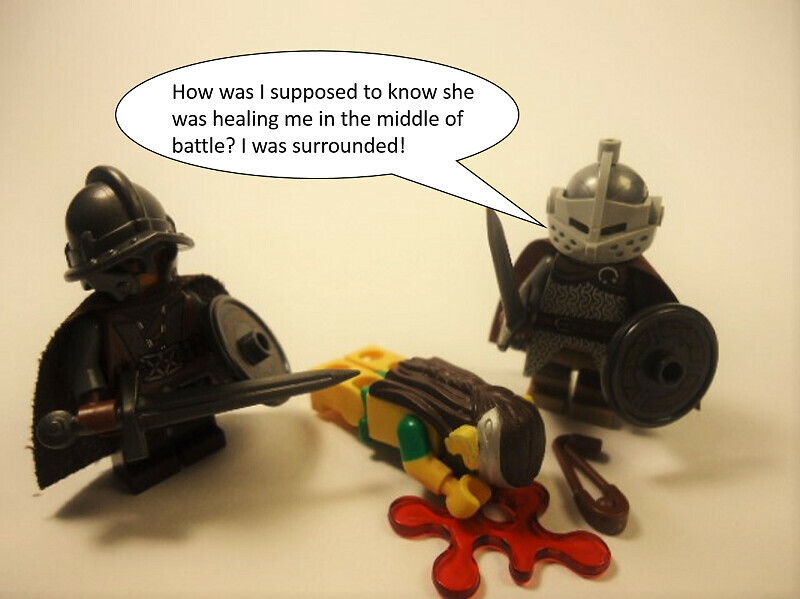 This one happens to be about accidentally killing your healer in the heat of battle. Anyways, that's all for today's post!